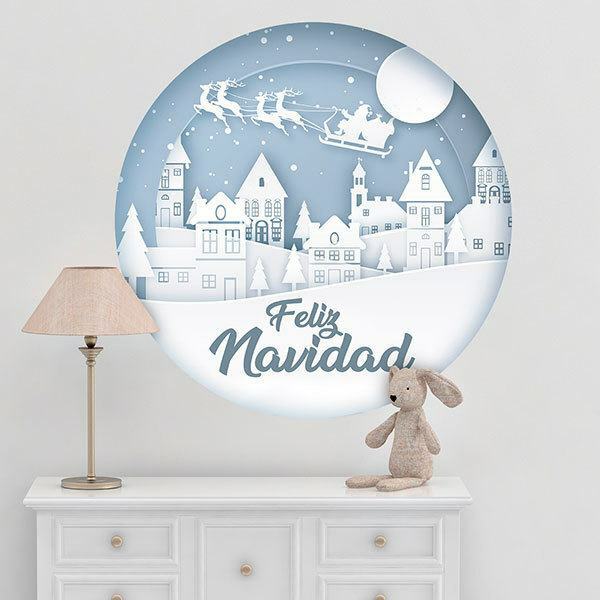 Kids wall sticker White Christmas, in spanish. 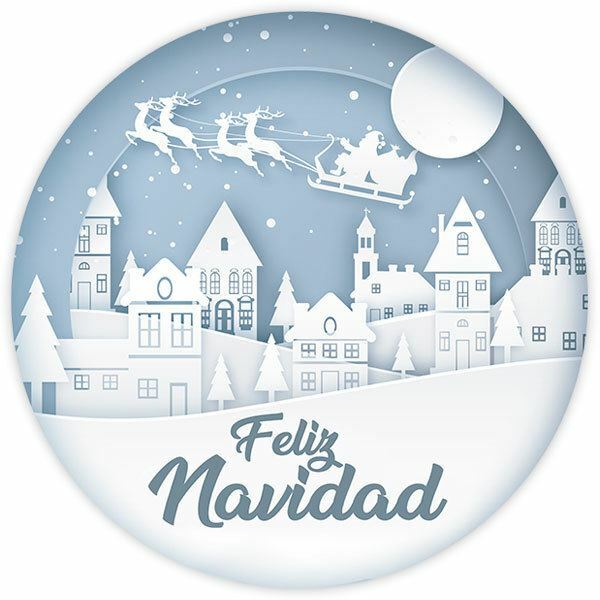 Kids wall sticker White Christmas, in spanish. Beautiful circular design in shades of blue and white, this represented the typical village house high, pointed roofs to avoid the accumulation of snow and pine trees. In the sky Santa Claus and his reindeer in a sleigh loaded with gifts for all.